Flagship floorstander in the UniFi Slim range sitting above the BS U5, FS U5 is a 3-way bass-reflex design delivering exceptional sonics. Earn 1199 loyalty points when you order this item. Elac Uni-Fi FS U5 is the flagship floorstander of the Uni-Fi Slim series, FS U5 offers advanced technology with its concentric midrange/high-frequency transducer and proprietary aluminum-cone drivers. 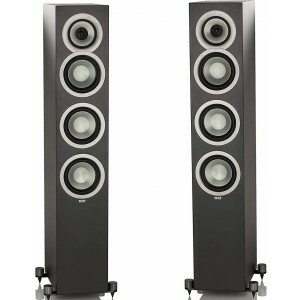 These support a 3-way, bass-reflex design that delivers a sound and appearance unequalled at their price point. Add a subwoofer to create a very serious two-channel system, or use it as the heart of a no-compromise surround set up. Uni-Fi Slim are the latest additions to the Uni-Fi family of bookshelf, floorstanding and centre-channel speakers. The Slim series brings a sophisticated European flair to Uni-Fi with cabinets that are slimmer, taller and deeper than the originals. Each comes in a high-quality satin painted black or white finish to complement the most elegant décor. Like the originals, each Slim model is designed by Andrew Jones, and employs the same concentric driver responsible for the award-winning sound of Uni-Fi. Ideal time-domain characteristics result from combining a tweeter and midrange diaphragm within a single voice coil—delivering the most coherent and accurate reproduction across the treble and midrange frequency spectrums. Uni-Fi Slim sounds exactly the same as Uni-Fi employing an identical driver complement, crossover, internal cabinet structure and volume. Only the shape and cabinet are even more refined, featuring a smaller footprint and smooth, satin finish. The delicacy of a 1" soft-dome tweeter and the harmonic accuracy of a rigid aluminium 4" midrange cone come together in a symphony of sonic perfection. Positioning the tweeter concentrically within the midrange voice coil achieves a uniform directivity pattern for flat frequency response and formidable power handling, along with enhanced imaging for both on and off-axis listening positions. 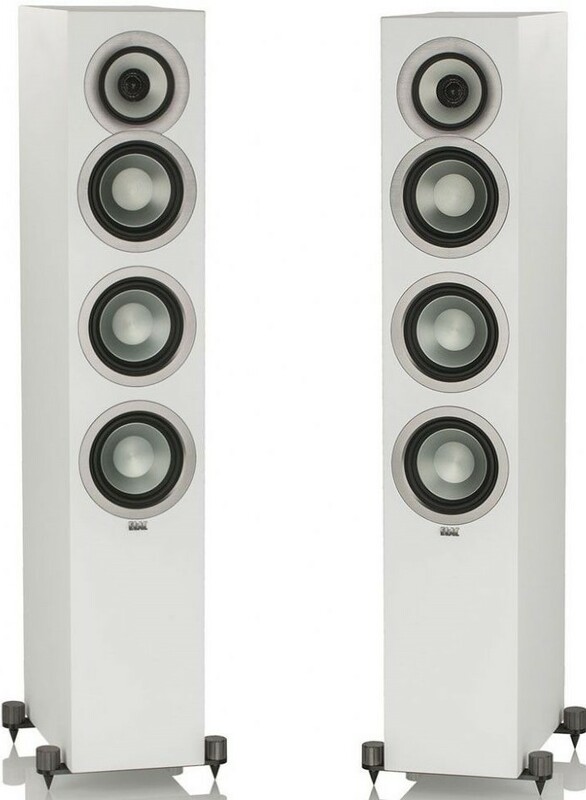 A three-way speaker offers many advantages in the design of a full-range system. By assigning dedicated drivers to high, mid- and bass frequencies, each is optimised for the frequency range for which its design and material composition is best suited. Drivers like the groundbreaking concentric midrange-tweeter of the Uni-Fi Slim series perform at their best, while larger, aluminum-cone woofers handle the frequency ranges in which they perform best. At the same time, a three-way speaker complement allows for a more straightforward crossover and cabinet design, eliminating complex and costly solutions. The Uni-Fi Slim enclosures are narrower, taller and deeper than the original Uni-Fi series, engineered for the long run with thick MDF outer walls. Yet each has been carefully engineered to maintain the same internal volume, resulting in sonic characteristics indistinguishable from the originals. The cabinets incorporate specially designed internal bracing to add stiffness and strength to the cabinet’s outer walls. This bracing greatly reduces cabinet vibration, which causes unwanted coloration to the sound. 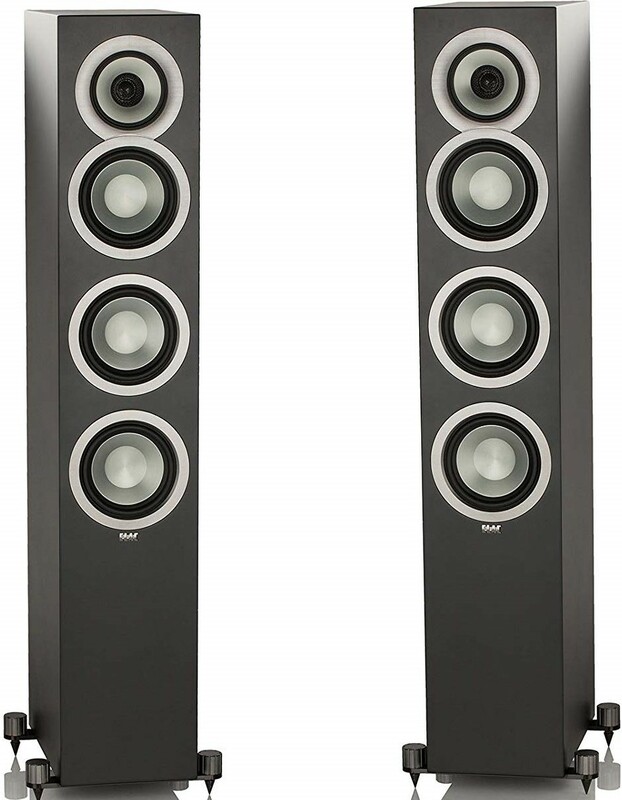 ELAC believes that the only parts of a speaker that should be moving are the speaker drivers themselves. One secret to the great sound of the Uni-Fi Slim series are the high quality, audio-grade components specified in the manufacture of each custom, three-way crossover, the careful design of which is essential to smooth transition between the drivers. The best crossovers are the ones in which the sonic landscape—from lowest fundamentals to highest highs—becomes seamless. Through the use of aluminium, resonances that affect the linearity of common paper cones can be placed beyond the driver’s operating frequency range. An extended size magnet with vented pole piece increases power handling, for accurate reproduction of bass frequencies that are clean, clear and powerful. When the protective grille is removed, hidden magnets beneath the surface of the cabinet keeps the front panel free of attachment holes, for a clean appearance. The custom terminals provide flexibility of speaker wire connections and ensure optimal electron transfer from speaker cables to the speaker itself. Details like this make the difference! An outrigger base design used for the FS U5 Slim provides a larger, more stable footprint and adds stability and optimum coupling of the speaker cabinet to the floor. 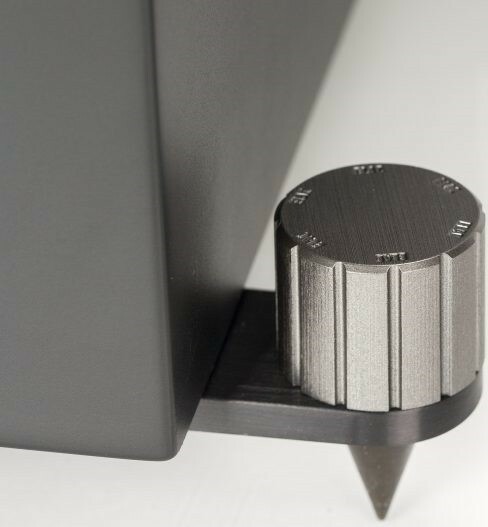 Molded knobs dial in precise leveling of the four corners, which are supplied with metal spikes and spike stands, used according to whether the loudspeaker is placed on a soft or hard floor surface.